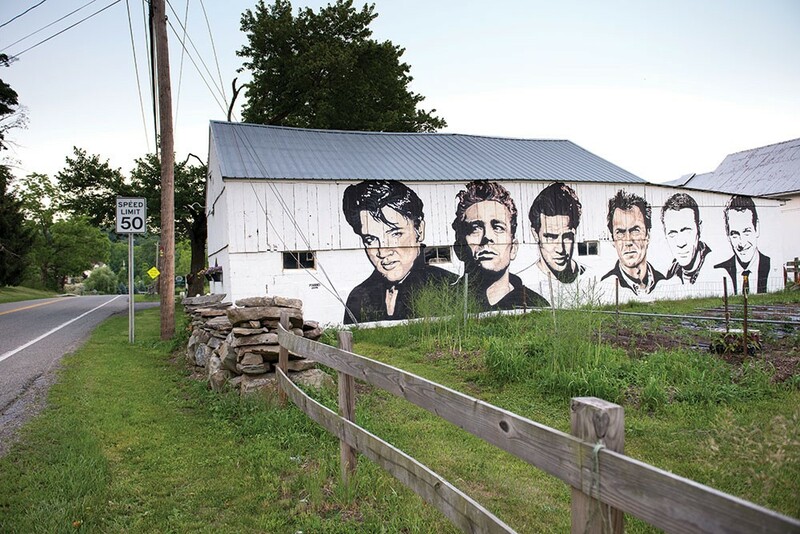 A mural by Rocco Manno at the Manno Dairy Farm in Warwick. The Warwick Valley really has to be experienced to be believed. Just 55 miles out of Manhattan, this part of Orange County came early to the feast of cultural bounty that results when world-class entrepreneurs and creatives decide that their hearts cry out for open spaces, woodlands, and fresh fruit. Three villages and five hamlets are surrounded by rich, black-dirt farmland and nurtured with tender loving care by wise people. Sarah Coates at Penning's Farm Market Brew Pub in Warwick. Warwick's people have created a culture worthy of the countryside that early settlers christened names like Eden and Amity; what you'll find here, be it retail, food, art, healthcare, education, or other human endeavor, is created with a level of expertise and energy that would stand out even if it were located in the world-class metropolis an hour south. It's right here in gorgeous, laid-back little villages with ample parking and a warm country-cosmopolitan welcome. The Summer Arts Festival happening from July 15 to 23 is an eight-day week of eclectic events: a poetry slam and jam, indie films at the Warwick Drive-In Theater, Celtic cabaret, a Brooklyn-based country punk band, an acrobatic aerialist, and an evening art bazaar of "artist-built microenvironments" at a nearby arts center dedicated to Surrealism. In August, the town welcomes the Hudson Valley Jazz Fest, born as the Warwick Jazz Fest, seven years old now and celebrated all over the valley. Steve Rubin, director of the Hudson Valley Jazz Festival at Milkweed in Sugar Loaf. The annual Applefest, begun as a "simple harvest celebration," draws thousands each October. Something about the town lends itself to the best sort of party, the kind where everyone gets loose enough to have fun and stays lucid enough to make sense, shine, and remember how much fun it all was—civilized as heck, but down-to-earth, never dull. Adventurous, open-hearted lovers of all things fine should come by anytime and enjoy the cornucopia that is everyday life in this walkable, welcoming village. It's a great place for retail therapy; artistically presented and beautifully made are clothing, art, jewelry, decor, and furniture of every era and style. 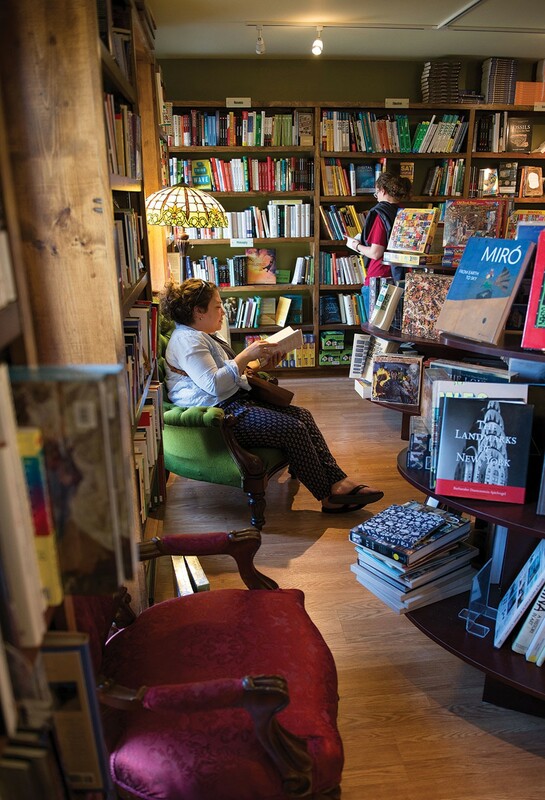 Breathe in the aroma of books old and new at Ye Olde Warwick Book Shoppe. Find the perfect gift for yourself or anyone else you love among the fine home goods of family-run Newhard's, with its departments offering everything from kitchenware and linens to handmade candles, stationery, and classic toys, and find something splendid and upcycled at Frazzleberries. Revolutionize your culinary game with the exotic oil and vinegar choices at Warwick Valley Olive Oil. Speaking of the culinary game, Warwick has something to suit every mood, from tavern to tearoom, from haute cuisine to hot dog. 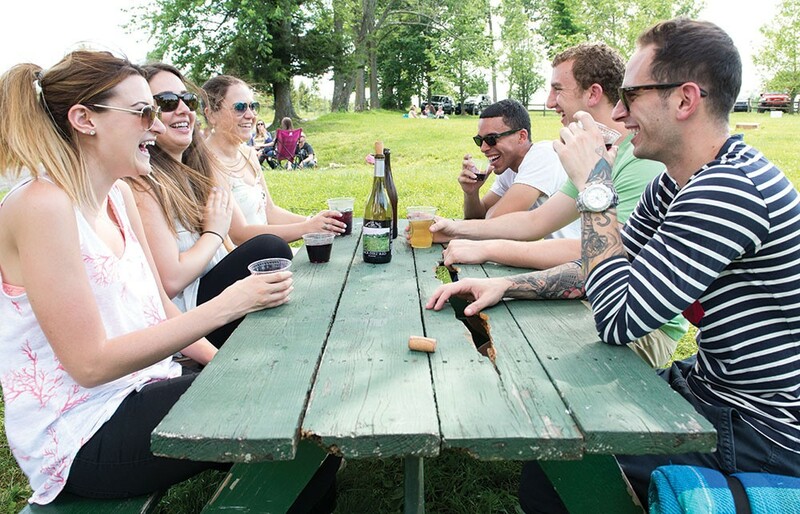 At Pennings Orchard, a 100-acre immersive farm-plus experience, you can visit the garden center; the farm stand, for local offerings from 30 top vendors; the pub and grill or beer garden, to have fine Warwick food and beverages expertly prepared and served; and the ice cream stand, for dessert. 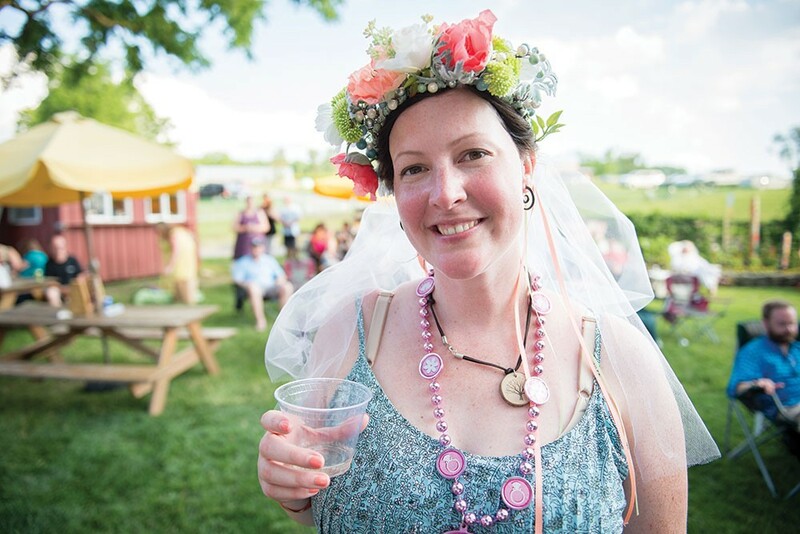 At the Warwick Valley Winery and Distillery, you can wash down fresh-baked bread, artisanal pizza, lobster, or brisket with Warwick-made wines, Doc's Draft fruit ciders, or American Fruits cordials. Come on a weekend afternoon and catch some live music on the patio. Treat yourself to steak or seafood fixed by a Culinary Institute honors grad at the 236-year-old Landmark Inn. 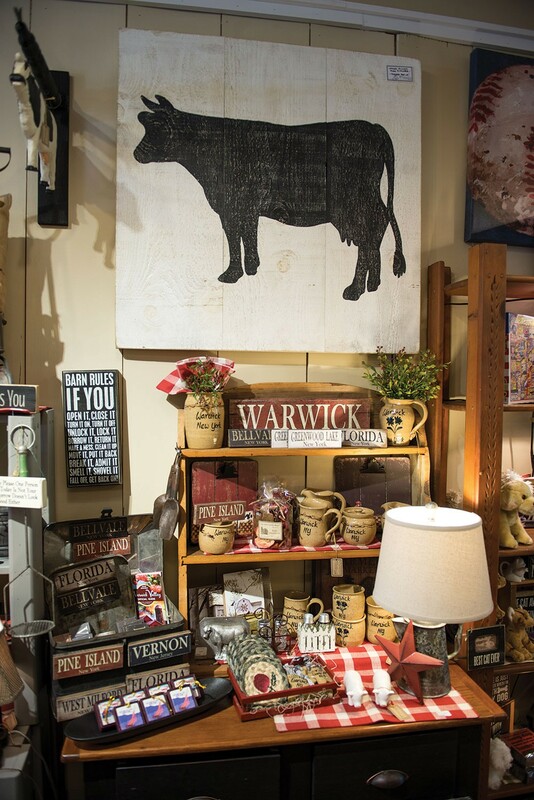 All of that, and much more, is to be found within the central village of Warwick. But it's far from all there is to know and explore in the area. The Village of Greenwood Lake, seven miles away, has its own unique sense of place. It's home to the largest lake in Orange County and offers a sandy beach for water play, kayak and paddleboard rentals, lakeside dining options, and its own creative business district. (Ye Olde Warwick Book Shoppe recently opened an outpost here, of similar top-notch quality to its main store but with contrasting, equally pleasant ambiance.) The Village of Florida is the birthplace of Sergeant Elijah Churchill, the first recipient of the Purple Heart; of Lincoln's Secretary of State William Henry Seward; and of polka star Jimmy Sturr. The village is nurturing its own eclectic downtown and an annual Florida Family Fun Fest. Wherever you find yourself within Warwick's 104 square miles of rich, black dirt, you're surrounded by beauty and not far from something exceptional. Wineries, farms, and galleries are abundant and unique. Only in Warwick will you find both a transreligious sanctuary and sculpture garden, Pacem in Terris, and a top-notch billiard hall, Village Billiards. 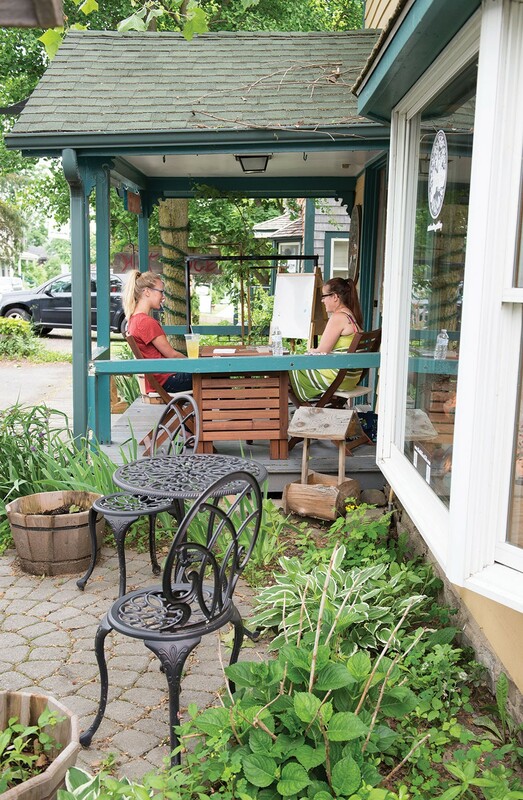 No description of the delights of the Warwick Valley could possibly be complete without a discussion of Sugar Loaf Art and Craft Village, right over the Warwick town line in neighboring Chester and every bit as sweet as it sounds. Sugar Loaf was a renowned saloon and speakeasy town throughout the 19th and early 20th centuries, a place to go and get your apple jack on and dance 'til the moon set. A few decades back, Sugar Loaf was reinvented and reinvigorated as an artisan village, and it's not quite like anywhere else on earth: a wee, history-drenched, walkable layout absolutely jam-packed with boutiques and eateries, and studios producing amazing work. Sherry Cella and Dana Berner at The Bodhi Tree in Sugar Loaf. 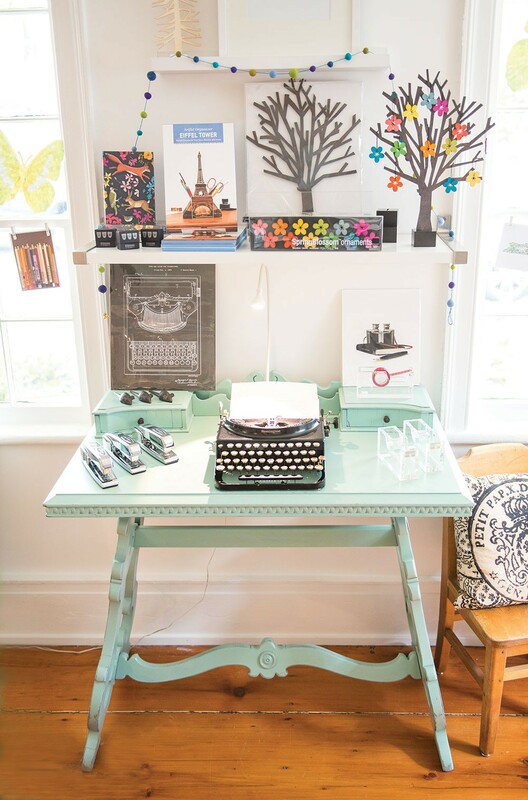 Merrily Paper Boutique in Sugar Loaf. 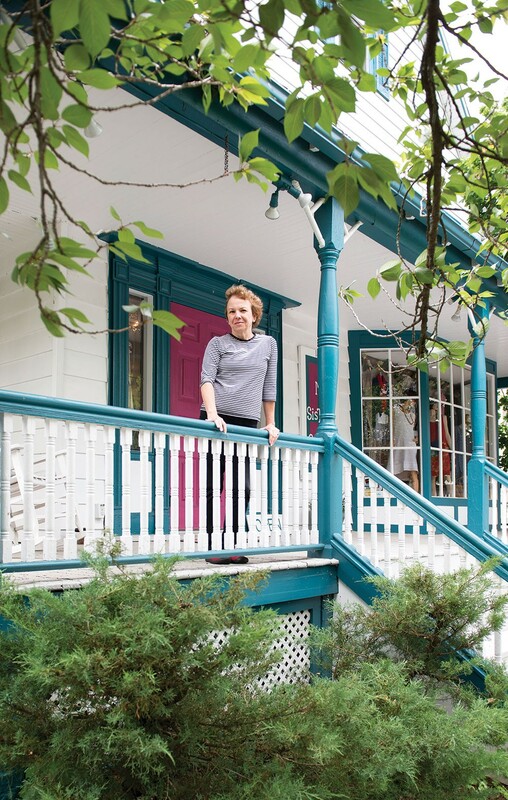 Sugar Loaf is home to candle makers, wood carvers, soap makers, jewelers, ceramicists, glass artists, and more, their shops included in the daily open studio tour (individual artisans set their own hours). Come and find things to cherish and hand down to your kids, things to give to the special folks in your life, one-of-a-kind pieces and things that you won't find in most villages, like the day-to-evening wear from My Sister's Closet or the customizable cards and paper goods of stationer Kat Parrella's Merrily Paper boutique. Park at the south end, in the lot by Exposures, where you can feast your eyes on the splendid images of renowned photographer Nick Zungoli as a first course, a dessert, or both, and enjoy mind-altering encounters with other art makers of Sugar Loaf and see how they do what they do. Beth DuCharme Duke at My Sister's Closet in Sugar Loaf. 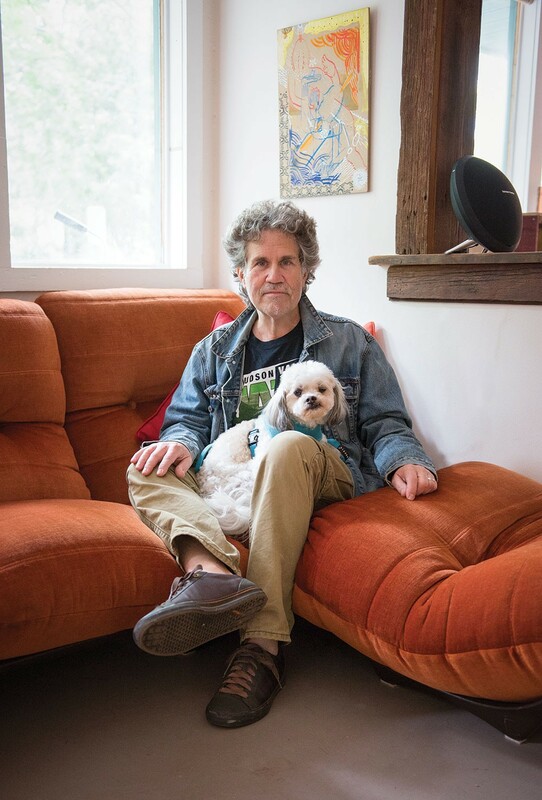 If you'd like your mind altered even further, catch "Identity and Anonymity," the current exhibit at the Seligmann Center, an exhibit and performance space dedicated to the legacy of its former resident, the prominent Swiss-American Surrealist painter Kurt Seligmann. Then there are the wonderful productions at the Sugar Loaf Performing Arts Center (also known as SugarPAC), where youth theater academies are in full swing this month; the teens will be strutting their stuff with "Joseph and the Amazing Technicolor Dreamcoat" come August. 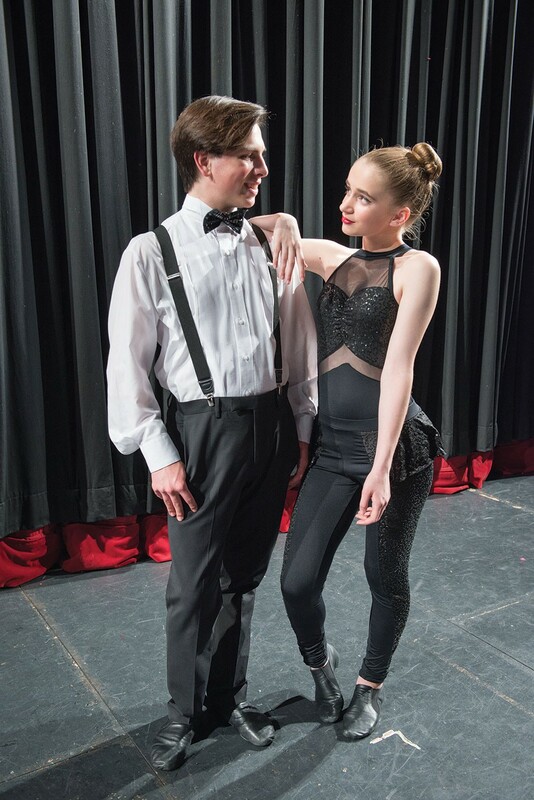 Antony Savino and Alexandria Thurtle backstage at Sugar Loaf Performing Arts Academy. Put it all together and it's easy to see how the Warwick Valley made it onto the website Stylecaster's list of the 10 best weekend getaways in the nation in 2014. Case in point: When it was announced in 2011 that Mid-Orange Correctional Facility would be closing its doors, the town and the Local Development Corporation took swift, well-considered steps to seize the moment and bought the open space for a dollar. Late in 2015, residents gathered on the liberated land to celebrate their newest park, Wickham Woods, which has splendid hiking, biking, barbecue and picnic facilities, kayaking, fishing, and birdwatching. The prison gym is becoming the Yard, a 38-acre sports complex where the motto is "Play nice" (as of last January, a Chinese investment group was considering renovating yet another parcel into a resort and spa with its own farm-to-table restaurant). 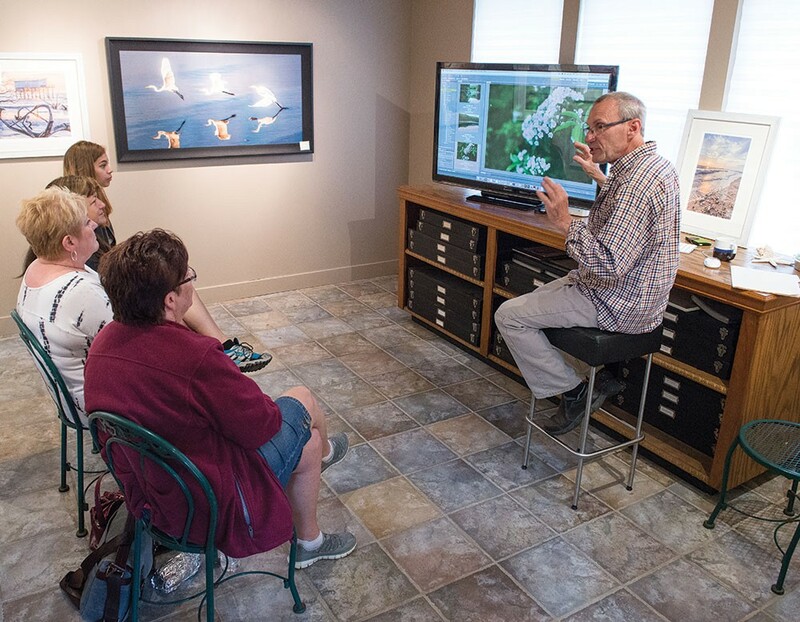 Nick Zungoli teaching a photography workshop in Sugar Loaf. Warwick is a place where people plant and grow their dreams with intent and attention. And that rich, famous, black dirt is some of the finest in the land. Go and explore.